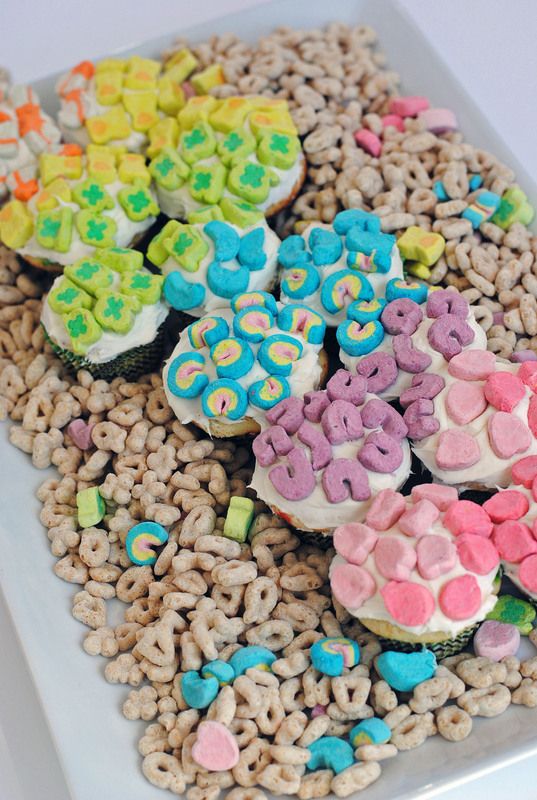 Lucky St Patrick’s Day Cupcakes. 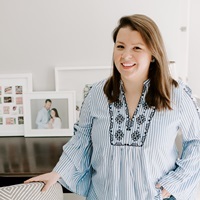 I haven’t quite celebrated St Patrick’s Day the same way since college – Lucky Charm cupcakes are a long way from my days of kegs and eggs and shamrock stickers on my cheeks. But one thing hasn’t changed, my penchant for playing with my food! 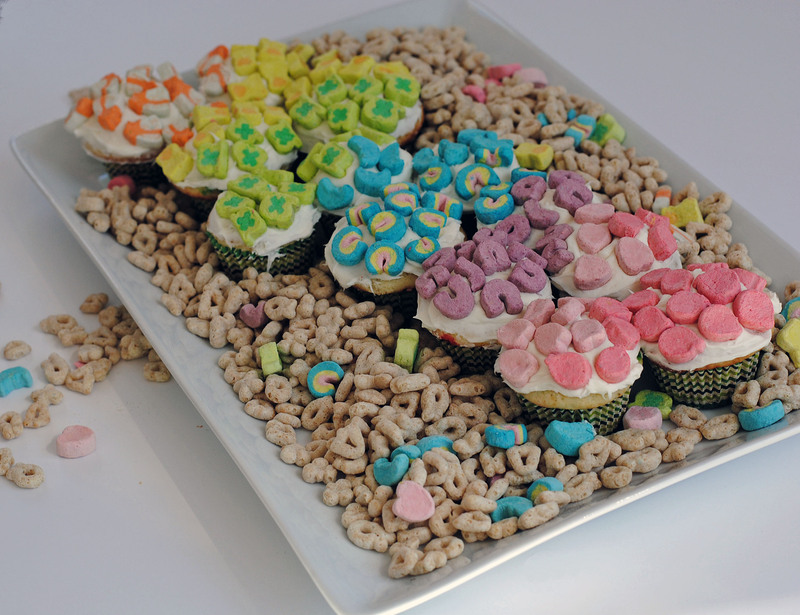 Making these ‘lucky’ rainbow St Patrick’s Day cupcakes was a treat for my color-coordination obsessed tendencies, it felt like a nice therapy session sorting through the marshmallows and dropping them into like-colored piles. 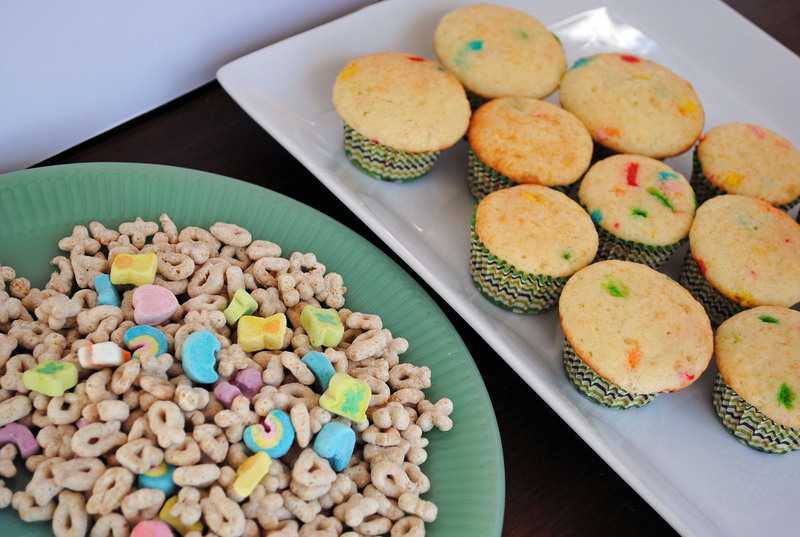 Assembling them is as simple as can be, make your favorite cupcake recipe (funetti box mix, guilty as charged), top with white frosting and finish them off with a rainbow of lucky charms. I found it looked the best when you start with cupcakes already on your serving dish, and split some of the colors across the cupcake so they blend together as one rainbow. And don’t throw out that extra cereal! 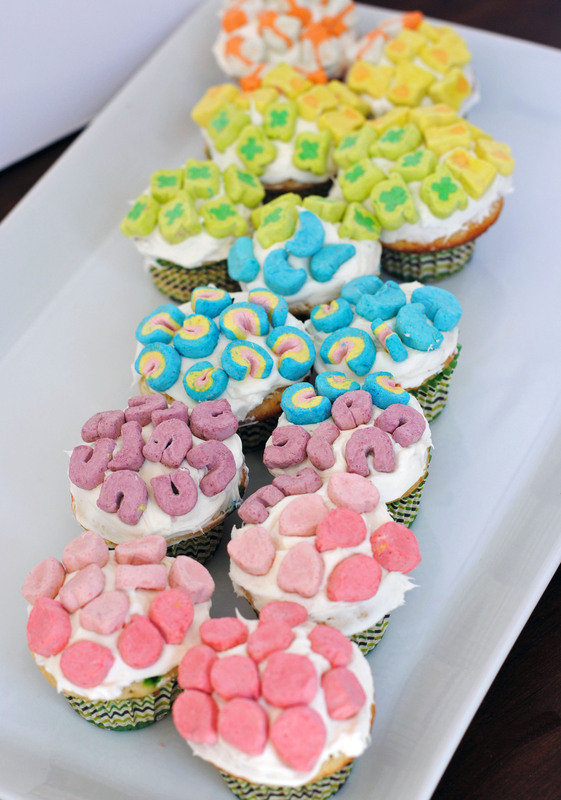 Use it to display your cupcakes by spreading it around the rainbow of treats in a serving tray. Happy St Patrick’s Day! Veggie Ribbon Salad with Walnuts. Gilded Easter Eggs.